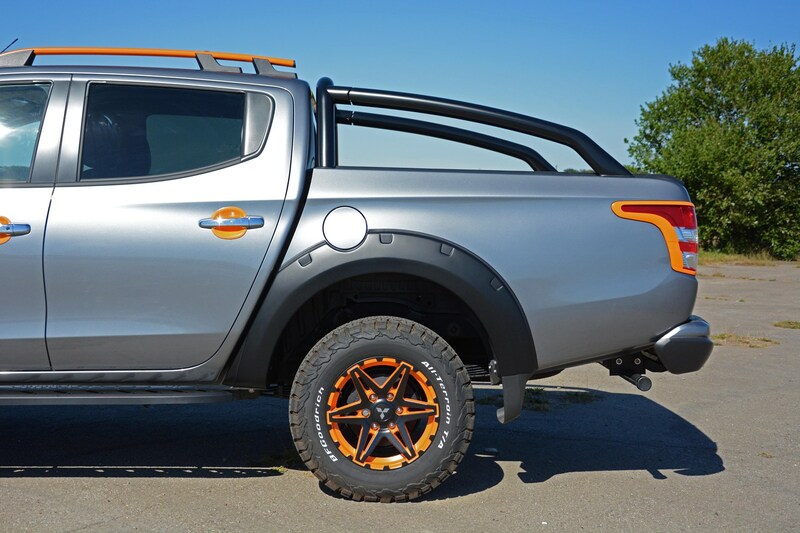 Compared with its chief rivals in the toughened-up pickup market, the Mitsubishi L200 looks a little – well – slender and under-wheeled alongside muscular, big-rimmed Ford Ranger and Volkswagen Amarok trucks. In 2017, Mitsubishi sought to redress some of the balance with a suite of butch, black body addenda to create the limited edition L200 Barbarian SVP – short for Special Vehicle Projects. For 2018, the recipe’s been reworked for the SVP II. 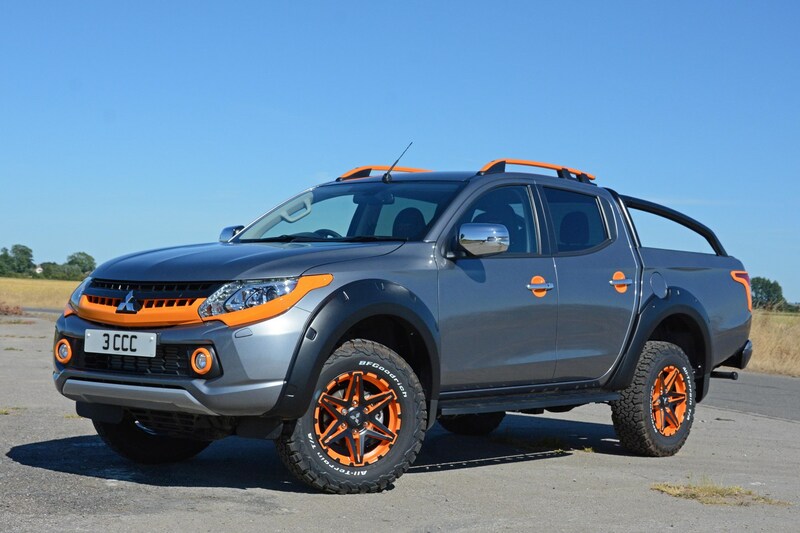 Other than the orange, what’s different about the L200 Barbarian SVP II? As with 2017’s SVP, this is a limited edition in the strictest sense of the word: only 500 L200 SVP IIs are being built, split 50:50 between Diamond Black and the Atlantic Grey of our test pickup. There’s absolutely no escaping the oranginess, though – in reality, there’s not that much of it, but such is the way it’s dotted around inside and out, there’s absolutely no chance of not seeing it. Whether you like it or find it repulsively tacky, this is a truck that garners attention wherever you drive it. Those exterior tangerine cues include the grille, headlamp, front foglight and tail light frames, roof rails, door handle recesses and the orange and black finish to the 17-inch alloy wheels. Enveloping the wheels are a set of knobbly BF Goodrich all-terrain tyres and a quartet of black plastic wheelarch extensions – there’s still an enormous amount of space in the wheelarches, though. Inside, there’s something of a 1970s lounge bar vibe about it, with black and orange leather seats, complemented by the satsuma-like glow from the LED ambient lighting and illuminated kick plates. Does the Mitsubishi L200 SVP II have all the technology I need? Being based on the Barbarian trim, the SVP II has a lot of useful equipment in its roster that will ease the migration into a commercial pickup for those swapping from an SUV. 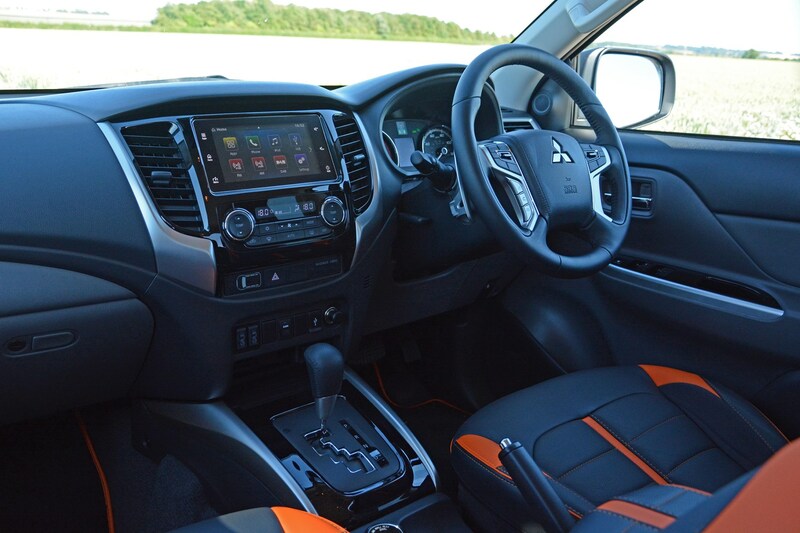 Mitsubishi’s Smartlink Phone Display Audio multimedia system is neatly integrated towards the top of the dashboard, and looks less aftermarket than some of the brand’s previous installation. Note that it doesn’t have sat-nav, so you’ll have to connect via Apple CarPlay or Android Auto for directions. Elsewhere, you’ll be able to make use of the automatic lights and wipers, non-adaptive cruise control, keyless entry and starting, rear parking sensors and a reversing camera. Leather and faux suede upholstery is shaped into the familiar ‘six pack’ design featured on standard Barbarians, although each SVP II has an embroidered edition number on the front headrests. There’s also a lane-departure warning system, which can mercifully be switched off as it beeps at the merest suggestion of getting close to the road edge or centre-line. Note that it’s only a warning system – there’s no influence on the steering to guide the Mitsubishi back where it should be. How does the Mitsubishi L200 SVP II drive? Again, if you’re an SUV driver tempted by the tax cost savings of running a double-cab pickup, how the Mitsubishi drives might prove to be something of a culture shock. 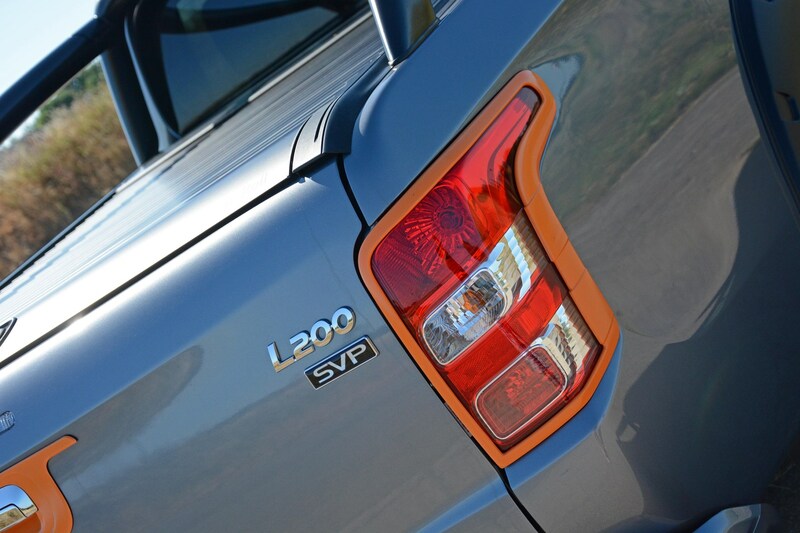 Many of the L200’s rivals make the transition easier. First and foremost is the impact of those all-terrain tyres, which will prove effective – in combination with the selectable four-wheel drive – where there’s no specific road to follow, but on conventional asphalt surfaces they do generate a background humming noise. They’re far more audible from a standing start, where the rear wheels chirp into life as they grasp for traction. Similarly, when you corner with speed, you’re aware that the wheels themselves are moving sideways within the tyres, although the net effect of this is that you slow down. With nothing in the loadbay, there’s a fidgety quality to the way the L200 rides: despite the cushiony tyres, it feels firm, meaning undulating B-roads can be a bouncy experience. Each shimmy through the bodywork is amplified by the interior fixtures rattling loudly. At least bodyroll is kept in check well for a vehicle of this height, although you’ve precious little idea of what the front wheels are up to such is the lack of feeling through the steering. Again, it’ll make it a doddle to drive off-road, but on the black top is feels anaesthetised. 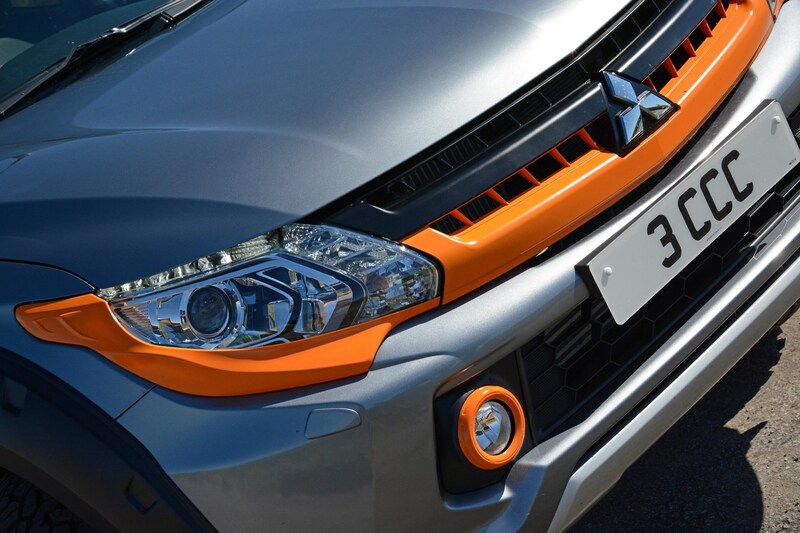 Producing 181hp and 430Nm of torque, the SVP II’s 2.4-litre turbocharged diesel engine gives the Mitsubishi fine real-world pace, aided by the fact that it’s relatively light for a large pickup at 1,860kg. At urban speeds and while plying motorways, it’s relatively subdued, only becoming gruffly audible when accelerating hard. Do so and your fuel efficiency will suffer, of course. 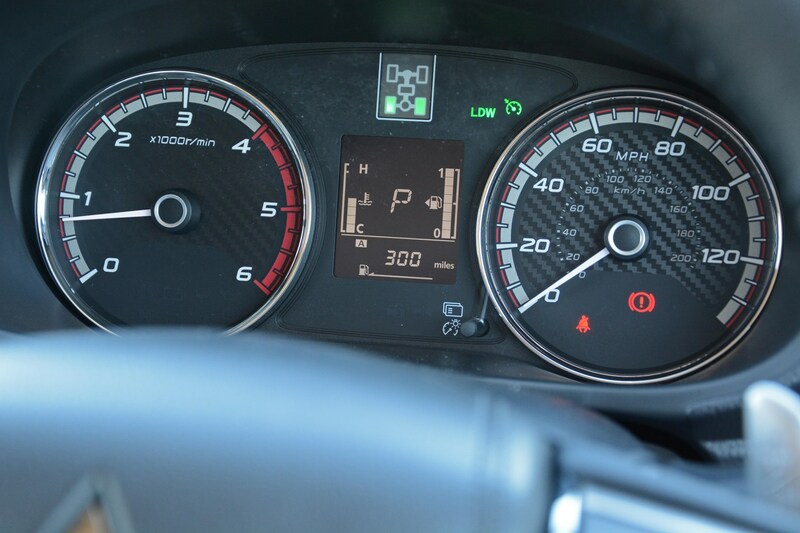 Mitsubishi claims a combined average of 37.7mpg, but during our test it rarely went above an indicated 27mpg. It doesn’t require AdBlue, either, so there’s a bit of a saving there. 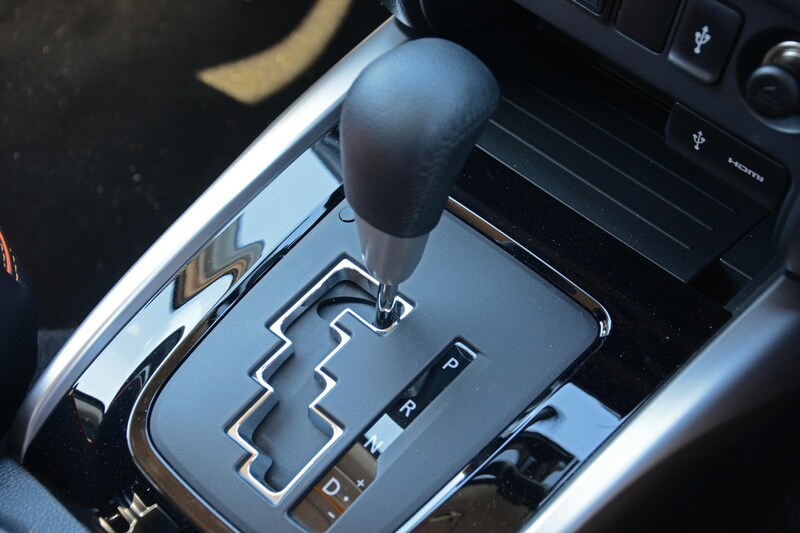 Our test example was paired with the five-speed automatic gearbox, the preferred choice over the six-speed manual alternative. There’s a pair of steering column-mounted paddle-shifters, too, which remain in situ rather than moving with the wheel – a superfluous touch of Italian exotica. 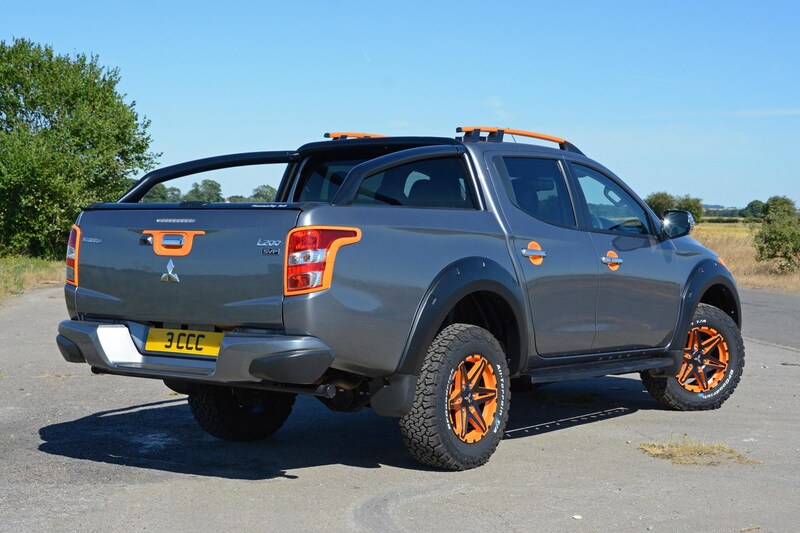 How much stuff can the Mitsubishi L200 SVP II carry? 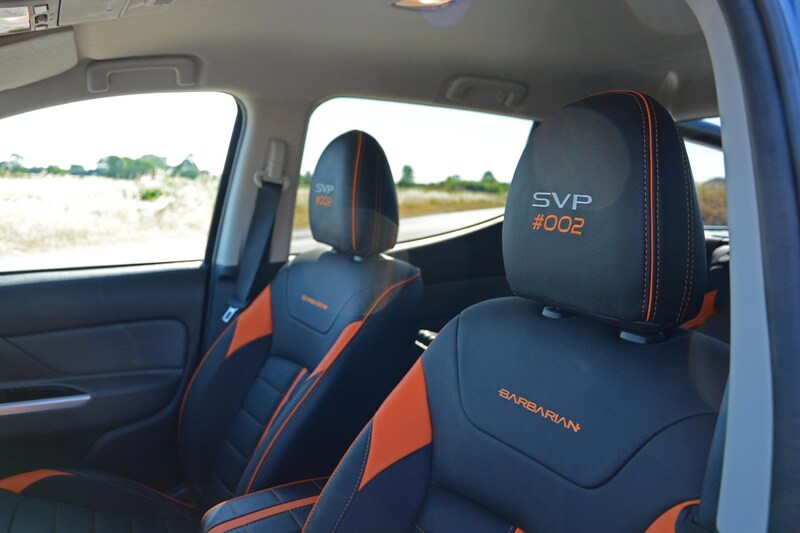 Unlike with marmalade, you do pay extra for the SVP II’s orange bits – it weighs in at £31,810 (plus VAT) on-the-road, a figure that’s £3,430 higher than the mechanically identical L200 Barbarian it’s based upon. For that premium you’re gaining permanent attention from other road users and pedestrians alike, as well as the degree of exclusivity of knowing that there are only 499 other Mitsubishis like yours. What it also does is dent the Mitsubishi’s usual value-for-money proposition making it very much a head rather than heart purchase. Just as it was when we drove the original L200 SVP in 2017, the less expensive Warrior model remains the model we’d recommend.